The delivery date depends on when you place your order. We use an overnight courier so your order will be delivered the day after it is collected from us. Our online orders are delivered on Wednesdays and Fridays. Please bear this in mind when you place your order for mail order pies. 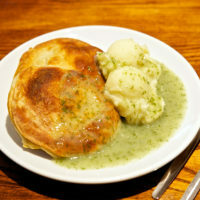 For orders of pies and/or fresh liquor our standard delivery options cover all of the UK mainland. This includes England, Wales, Scottish lowlands but excludes Scottish highlands and Isle of Wight. The following postcodes are available with an additional charge, please contact us before ordering. Should you require a delivery outside of this area please contact us to discuss your options. An additional delivery charge may be levied. 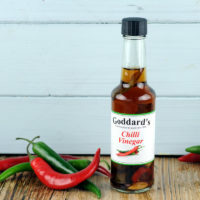 Non-perishable items such as vinegars, pie tins and instant liquor are sent via Royal Mail. These can be posted to all of the UK and also EU for an additional charge. Who will deliver my mail order pies? 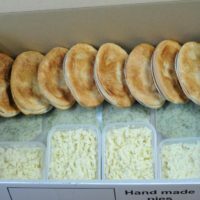 We use nationwide overnight couriers to deliver all of our food orders within the UK. Orders that do not include any perishable food may be delivered via Royal Mail. Our couriers are instructed to leave your parcel if there is no answer at your property. This may be with a neighbour or left in a safe place. As the boxes we use are insulated your food will be kept cool during this time. Can I choose the delivery address? You can choose any delivery address within mainland UK. This could be your home, place of work or a different address. How does the food keep fresh? 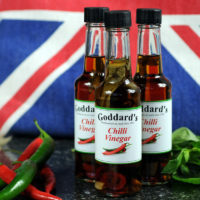 Each order is cooked and chilled individually for each customer. 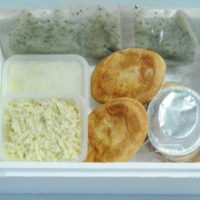 The food is then carefully packed into specially designed insulated boxes. Ice packs are then added to ensure the temperature during transit is low enough for the food to arrive safely. Do you offer any vegetarian pies? 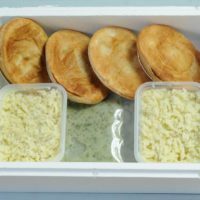 Unless you intend freezing them, pies should be removed from their delivery box and placed in the fridge as soon as you have received them. Please consume within 4 days. 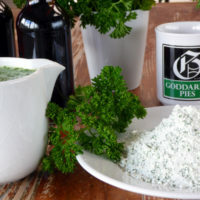 Can the pies be frozen? 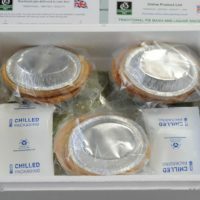 Yes our mail order pies can be frozen so they can be eaten at a later date. For maximum quality, please remove from the delivery box and place in your freezer on the day of delivery. 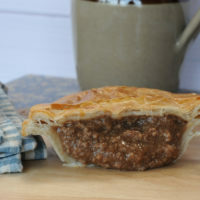 We suggest pies are kept frozen for a maximum of 6 months. 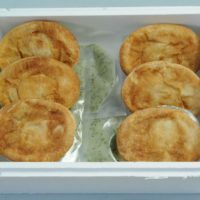 Frozen pies should be fully defrosted, preferably in a fridge, before reheating. The delivery fee is automatically shown in the shopping cart as products are added. Not all products have a standard delivery charge and the maximum charge is £6.95. Standard delivery items can arrive up to 5pm on the day of delivery. Orders over £75 enjoy FREE standard delivery. For all orders you are able to pay £3.50 extra so that the couriers prioritise your order and deliver in the morning by 12pm. Just select the AM Delivery option each time you order. Are the payment options secure? Yes, all payments are handled by PayPal and at no point will you need to enter card details directly on to our website. We will also never email you asking for your card details or PIN number. Our preferred method of receiving orders is via our website. However, should you have difficulty is using either the website or the PayPal payment system please call us for assistance.